CLEMSON, S.C. – Rising junior Sarah Braun placed third in the one-meter and sixth in the three-meter at the 2015 USA Diving National Preliminary Zone E Championships in Beaverton, Ore. on June 12-13 and, as a result of her success, qualified for the 2015 AT&T USA Diving National Championships in both events. 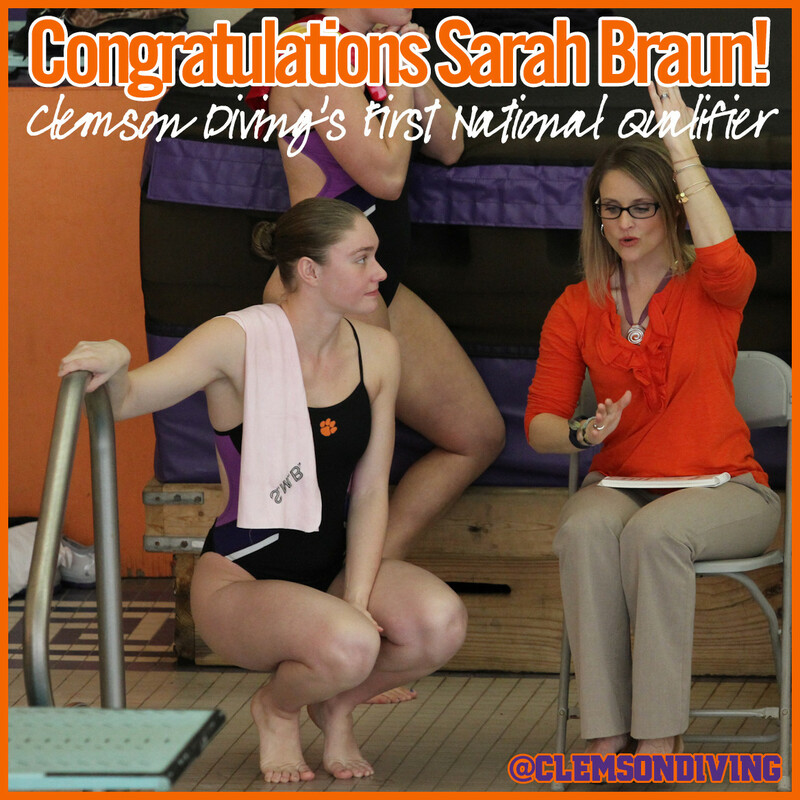 Braun is the Clemson diving program’s first-ever national qualifier. 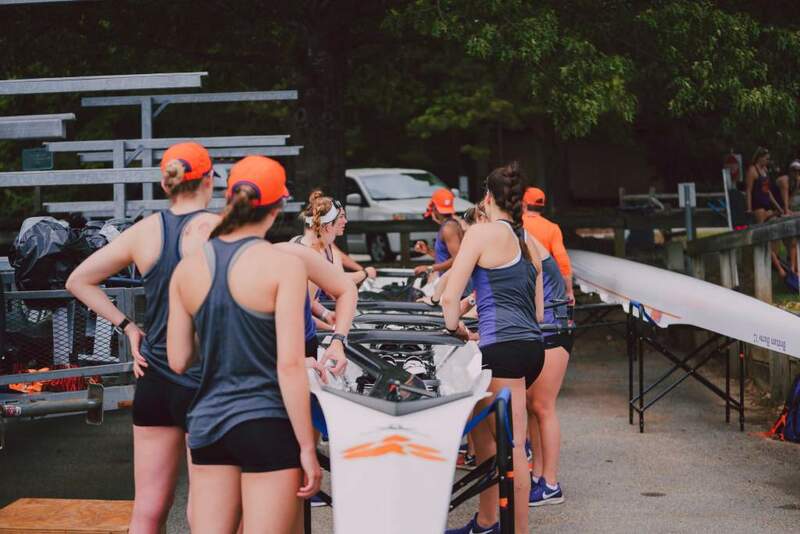 “I am thrilled for Sarah and the fact that she has qualified for nationals,” said Head Coach Leslie Hasselbach Adams. “She has a deep passion for the sport of diving, along with incredible discipline, work ethic and drive. 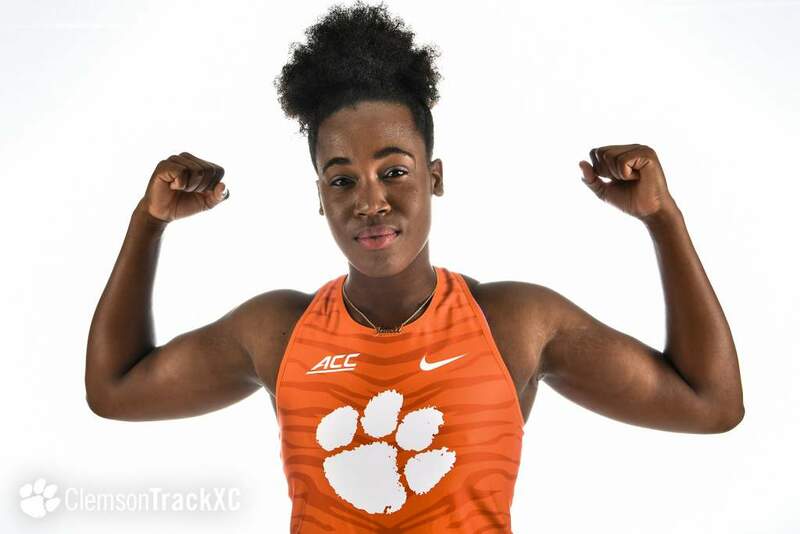 She had a great sophomore campaign that left her even hungrier to be her best. This accomplishment is yet another stepping stone to where she has the ability to reach with her diving career. The Zone E meet was held at the Tualatin Hills Aquatic Center, the pool where Braun, a native of Beaverton, Ore. trained as a youth diver. Braun placed third in the finals of the one-meter, scoring 238.75 points. She was in fourth place after the preliminary round of the event. In the three-meter competition, Braun finished sixth in the finals with 245.70 points after finishing fourth in the event prelims. Generally, the top-five divers advance to the national meet, however, one diver who finished ahead of Braun in the three-meter finals had previously qualified, allowing Braun a spot in the national meet. Braun will now compete at the 2015 AT&T USA Diving National Championships, to be held Aug. 1-13 at the YMCA Aquatic & Family Center in Orlando, Fla.